How Well Do You Know Your Millennial Home Buyers? Millennials are a little notorious when it comes to public perception. Everywhere you look, there’s an article about an industry that millennials are disrupting – sometimes for the better, sometimes not. So, what is a Millennial? Born between the years of 1980 and 1995, Millennials now make up the largest generation at approximately 95 million members. In 2019, they are tech-savvy, socially connected, and generally unpredictable when it comes to consumer habits, marketing data, and (you guessed it) real estate trends. So, what are Millennials looking for when it comes to buying a home? Are they even looking to buy? Getting to know what makes this generation tick can help you tailor your messaging to your audience. Your strategy as a real estate agent revolves around personalization – here’s the 4 most important things you need to know about Millennial home buyers. Despite the widespread idea that Millennials are only interested in renting, stats show that Millennials are actually MORE likely to own a home than previous generations were at their same age. They see it as a rite of passage, rather than a necessity like their predecessors did. Millennials are changing the way real estate markets work, and not only because they’ve primarily been renters for so long. 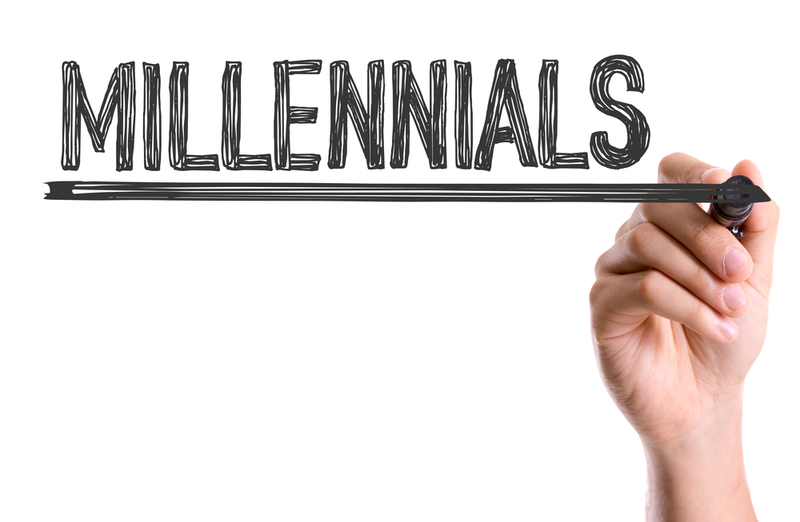 Take this into account when talking to your Millennial leads – they are to be taken as seriously as any potential home buyer. As a generation raised in the rise of technology, these search-savvy Millennials have already completed extensive research online before getting in contact with a real estate agent. Even NAR has said in studies that 94% of Millennial home buyers start by looking at online listings. How can you use this to your advantage? Up your online presence! Testimonials well thought out social media and providing them with online resources may be a great way to hook your audience. They’re already online – meet them there and prove your value as a real estate agent. Maybe you’ve read articles already about how Millennials do things differently. They have increased college enrollment and delayed marrying age. They tend to be cautious, they’ve grown up with a recession mindset (increasing frugality), and they are used to job scarcity – this may all play a factor as to why Millennials are just now ramping up in the real estate market. Consider that them waiting longer to buy may make them a perfect candidate for educating on the benefits of owning vs renting a home. Millennials come with their own set of buying preferences. They tend to aim for smaller, older used homes compared to Baby Boomers and Gen X’ers. Affordability, convenience, neighborhood amenities, walkability, and proximity to workplace all play a factor as well. Additionally, as this generation marries and starts families, they are actually competing for the same homes as Baby Boomers. According to a Magazine realtor article, “In 2018, 30% of Millennials purchased a home for $300,000 or higher…” – further confirming that you may be marketing to two generations vying for the same types of homes. This is great news for you as a real estate agent – take what you already know about the way your Baby Boomer buys homes and apply that to this new audience. See, Millennials aren’t so scary after all! Each generation handles home buying and searching a little differently. Housing preferences change, generations shift – keep ahead of the curve and learn your audience. Use these insights for Millennial home buyers to perfect your pitch as they gain purchasing power and become the focus of your lead prospecting efforts. Don’t be intimidated by this notorious generation – everyone needs a personalized touch when it comes to real estate, and every generation of home buyer is a lead waiting to be won. Want to learn more about converting your online leads? Check out Zurple’s Seller Leads program!